According to a recently-released report by the National Safety Council and covered by the New York Times, more Americans are dying in car accidents on highways and roads than ever before; specifically, over 40,000 in 2016 alone, a six percent increase from the previous year. Unfortunately, 2016 marks the first year since 2007 that more than 40,000 people have died in traffic accidents and—combined with the seven percent increase between 2014 and 2015—marked the most significant increase in auto accident deaths in more than half a century. While some blame the increase on the improving economy, which ultimately leads to more drivers on the road, others point out that there must be something else going on, as the number of deaths per miles driven is also on the rise. Many believe that the increase can only be explained by distracted driving; because even while cell phones offer hands-free options, highway safety officials cannot keep up with the number of phone apps released each year, apps that inevitably lure drivers’ eyes off the road. However, all the blame cannot be placed on cell phones: people failing to wear seat belts, drunk driving, and speeding are still responsible for a number of deaths each year. Especially when it comes to seatbelt requirements, legal requirements for drivers and passengers depend entirely on state law. For example, in Florida, only front-seat passengers and anyone under 18 years of age in the car must wear a seatbelt. That leaves others—i.e. passengers in the backseats—vulnerable to dangerous injuries and even death in the instance of a car accident. And Florida isn’t alone: only 18 states have laws which require both front and rear occupants to wear seatbelts, and allow drivers to be pulled over for violating the law. In 15 states, even if the law requires that you wear a seatbelt, failing to do so is only a secondary offense, meaning that you cannot be ticketed for it unless you have already been pulled over for another offense. With half of all traffic fatalities still involving occupants who aren’t wearing a seatbelt, and almost a third still involving drivers who are under the influence, America be may be unable to cut down on traffic-related deaths without strengthening the laws, with the exception of holding those responsible in court for the pain and suffering they cause. The National Safety Council also advocates for ignition locks that prevent repeat drunk drivers from driving their vehicles while they are under the influence and mandatory motorcycle helmet laws. When it comes to injuries and deaths due to car accidents, sadly, Florida is no stranger to these tragedies. Regardless of how carefully you are driving, other drivers may make an accident inevitable. If you have been involved in a car accident due to someone else’s negligence, speaking with an experienced car accident lawyer can help you figure out next steps. 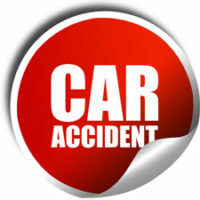 Contact our experienced Fort Lauderdale auto accident lawyers at Friedland & Associates today for a free consultation.